Water Inlet Metal Pipe "O" Ring Shown As Number 10 In Diagram. Fits Into Rear Of Water Pump Housing. Fits DFM / DFSK Loadhopper Models With 1300cc Engine. IMPORTANT:- REMOVAL OF INTAKE MANIFOLD IS REQUIRED TO FIT THIS ITEM. 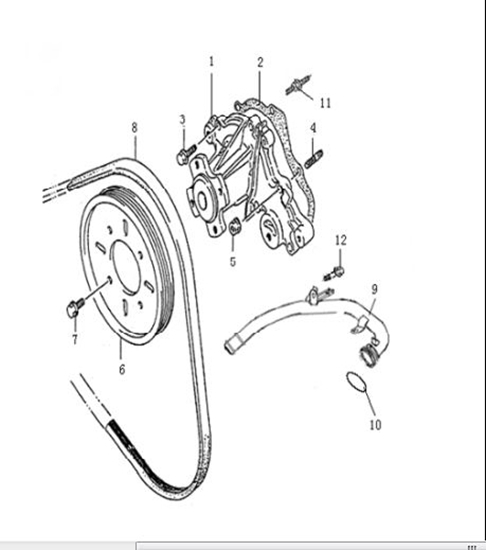 YOU WILL ALSO NEED TO ORDER "ENGINE MANIFOLD INTAKE GASKET 10021E-A"